This week I’ve attended my last class in the interior design course. I’m gonna miss going every week and learn about interior design. It has been a lot of fun and I’ve finished my first room in our new house, the family room! 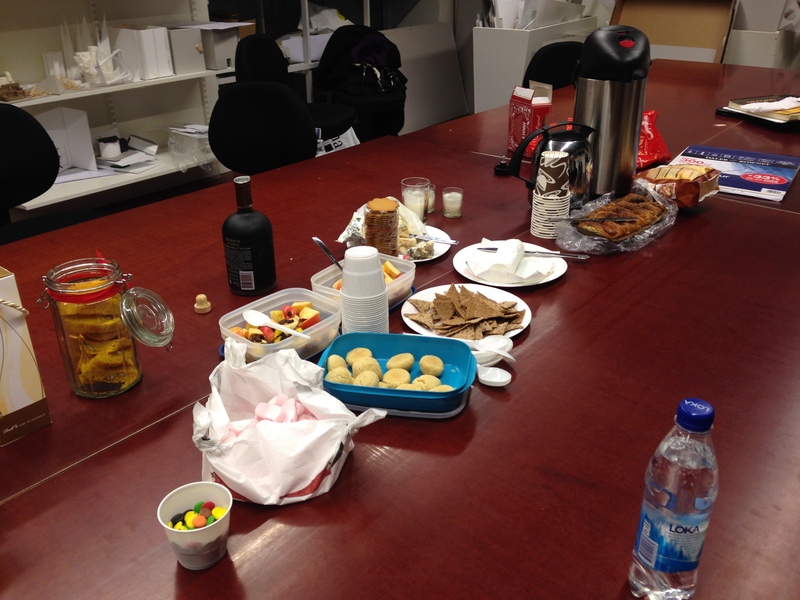 During our last class everyone brought something to eat or drink so we could have a little cozy fika (“coffee break”, follow the link to read about this special Swedish tradition) while presenting our individual projects. The first thing we did in the class was mood boards which I’ve written about in a previous post. I browsed plenty of magazines and finally found the perfect images to use for the family room mood board. I actually collected a huge stack of cutouts/pages from magazines in order to use for other mood boards for the rest of the house. 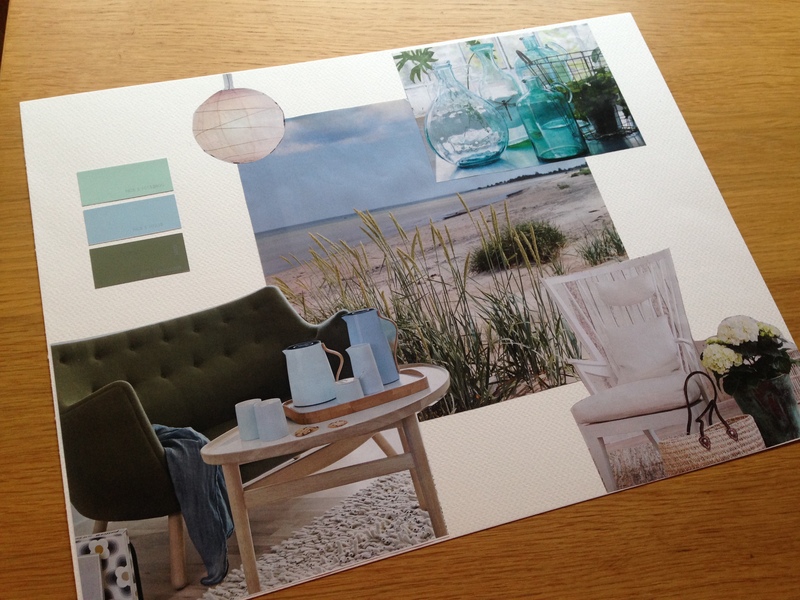 Mood board for our family room. 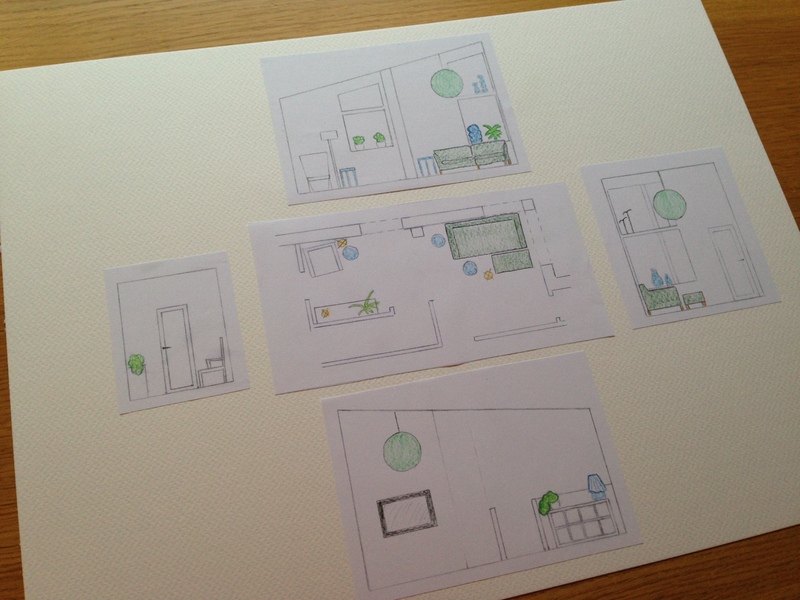 We also learned how to make drawings of our rooms. First we started with a plan view in scale 1:20. When that was done we cut out the furniture we wanted in the room and tried different positions in order to figure out what worked the best. The room layout of 0ur family room (bottom) and the master bedroom (top). When the room layout was decided we continued with drawings in scale 1:50. 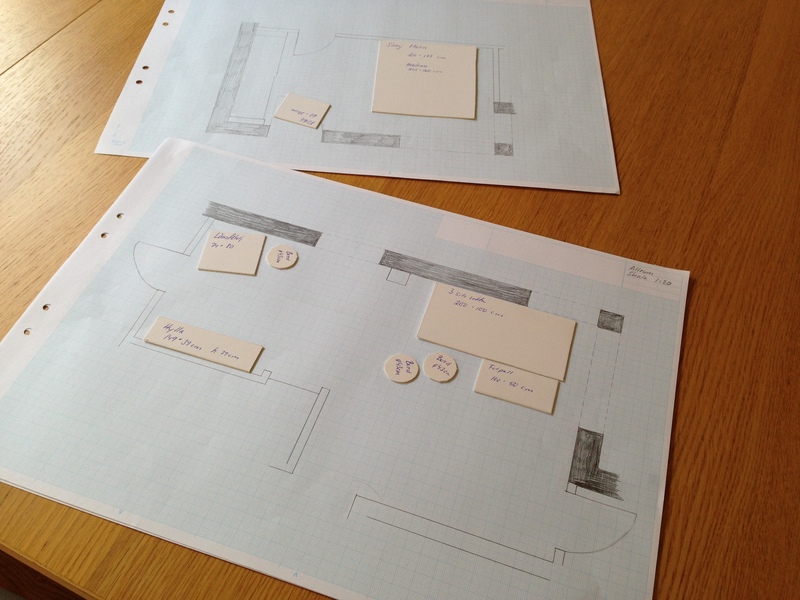 We did both a plan view as well as elevation (side view) drawings. On each of the drawings we added the furniture and other items as well as colored them. We also made a perspective drawing but I wasn’t able to finish it completely. Plan view and elevations (side views) of the family room.